Roll - The Ailerons work in opposite directions to each other. When one is raised, the other is lowered. Pitch - The Elevators work in unison – if the elevators are up, it will cause the nose of the aircraft to point up. If the elevators are down it will point the aircraft nose down. 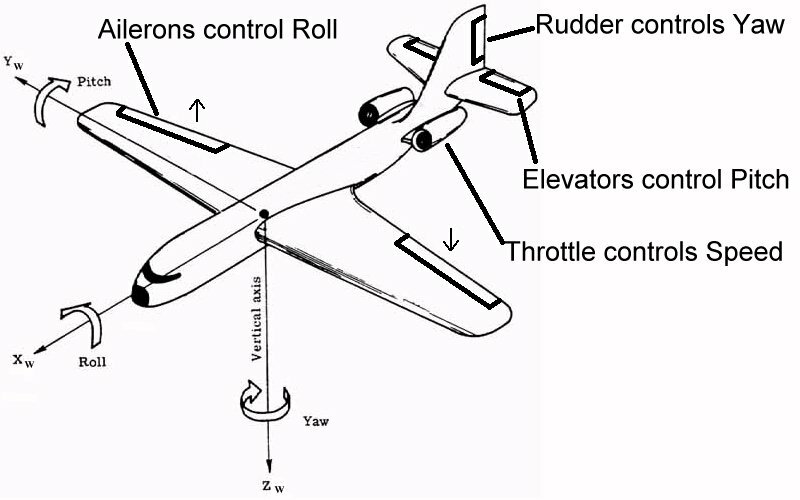 Yaw – If the Rudder is moved to the right – the aircraft will rotate to the right. If moved to the left, the aircraft will rotate to the left.